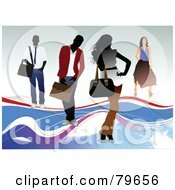 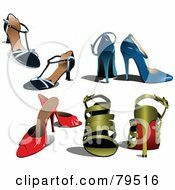 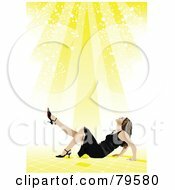 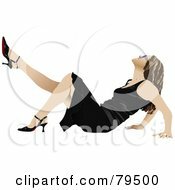 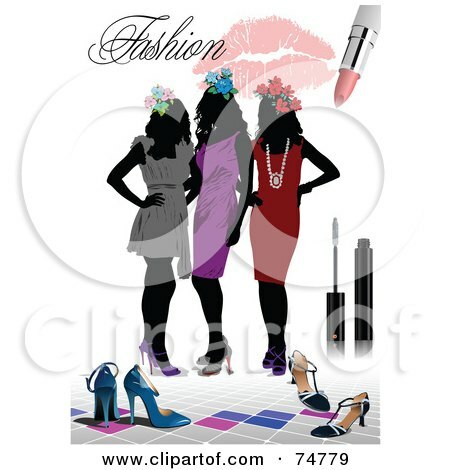 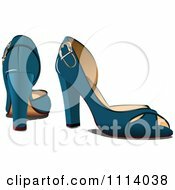 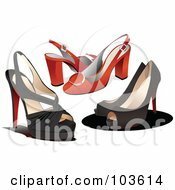 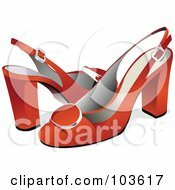 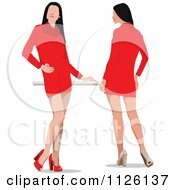 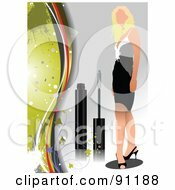 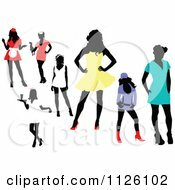 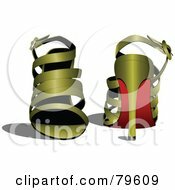 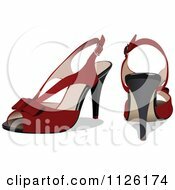 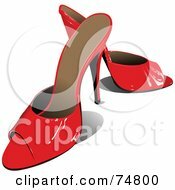 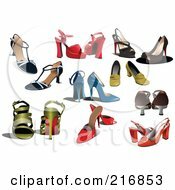 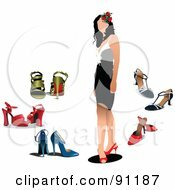 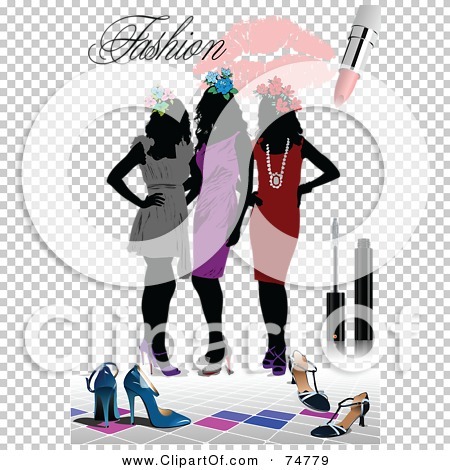 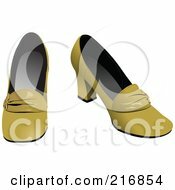 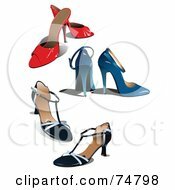 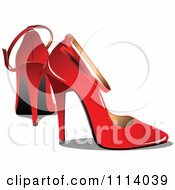 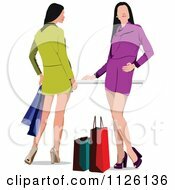 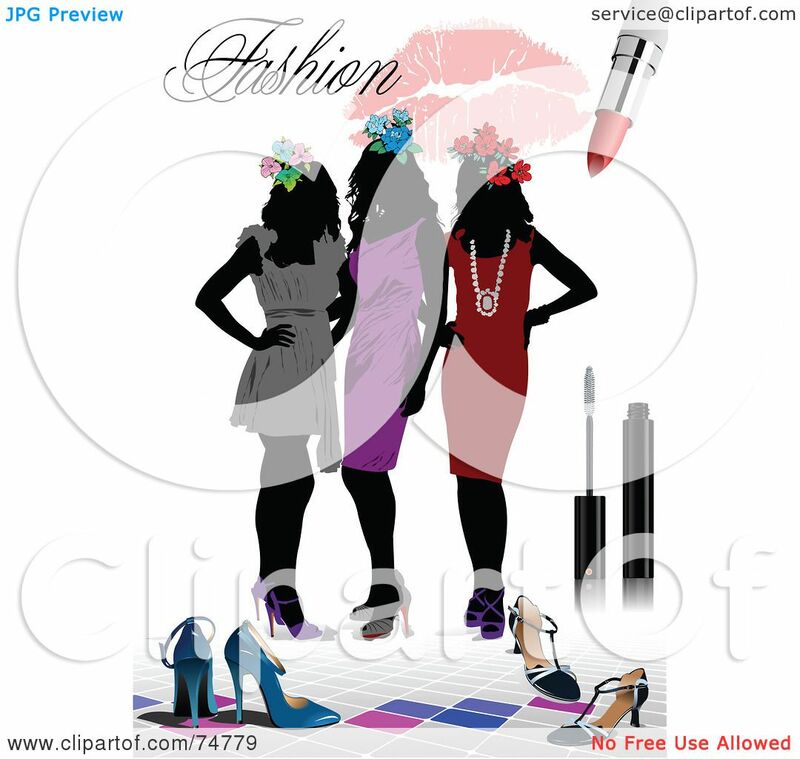 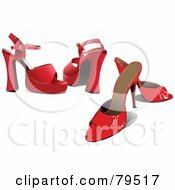 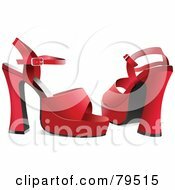 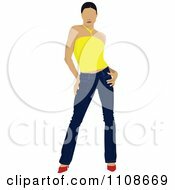 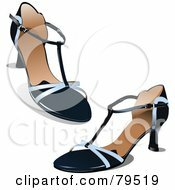 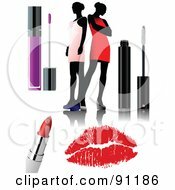 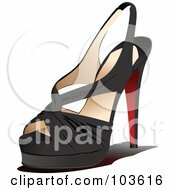 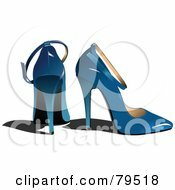 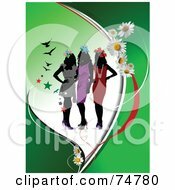 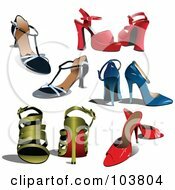 Royalty-free clipart picture of a fashion background of three silhouetted women in dresses, with shoes and makeup over white. 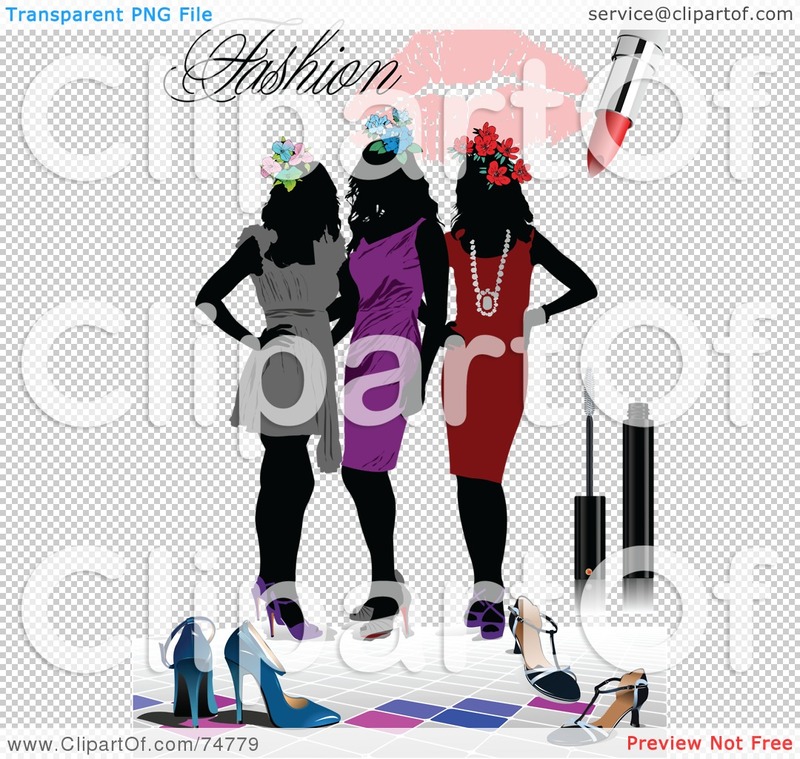 This is not a click-and-type file. 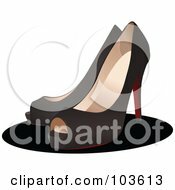 Contact customer service after purchase to obtain a text free version.